Carole said: “After having treatment for throat cancer recently, it made me realise how supportive and dedicated all the staff at Queen Elizabeth Hospital, Birmingham are and I cannot praise them enough. It also shows how far cures have come and that without the research and donations I and many others may not have been so lucky. 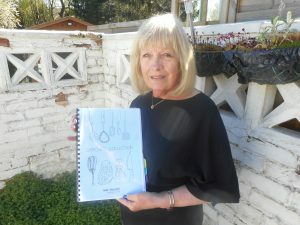 I felt motivated to do something in return such as holding raffles and more recently, making a collection of recipes which I am now selling to raise funds for “Get A-Head” which I feel is a very worthwhile cause.